Lent is almost upon us! 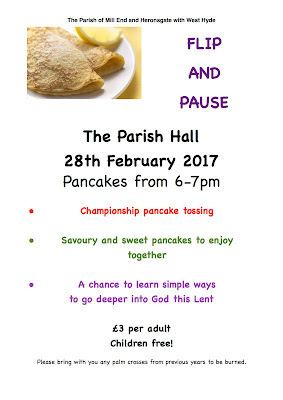 We end Ordinary time with a Pancake Party on 28 February in the Parish hall in Mill End. 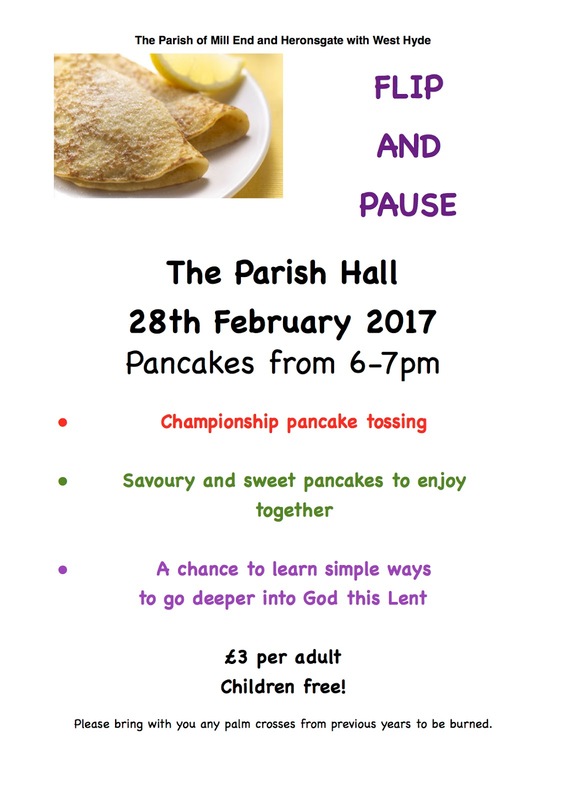 The evening is open to all and will include some input about how we might get the most out of Lent. 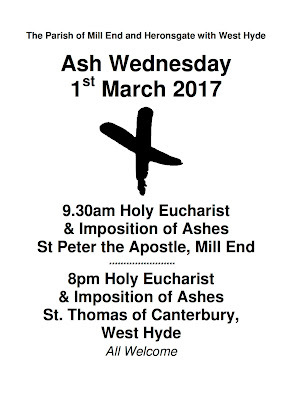 The holy season begins the following day on Ash Wednesday. 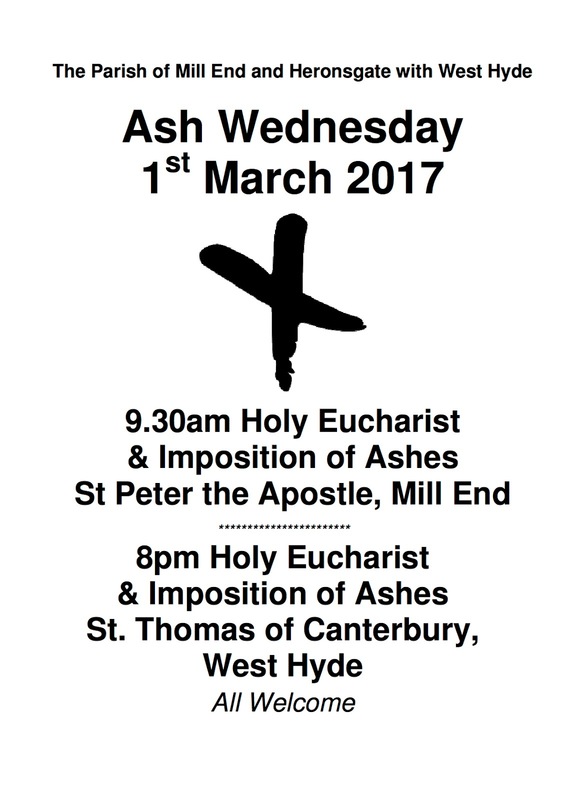 There are 2 services on that day both of which will include the imposition of ashes.